Bidvest Facilities Management provides a wide range of Facilities Management, Soft Services, Technical Services, Energy Management and other services for Telkom Park. Telkom Park is part of a larger contract that Bidvest Facilities Management successful renewed during 2016 for a further five year period. The Telkom contract is one of the largest FM contracts in the country and comprises 20 million m² of land, over 21,000 sites, 550,000 items of equipment and 2.6 million m² of buildings. 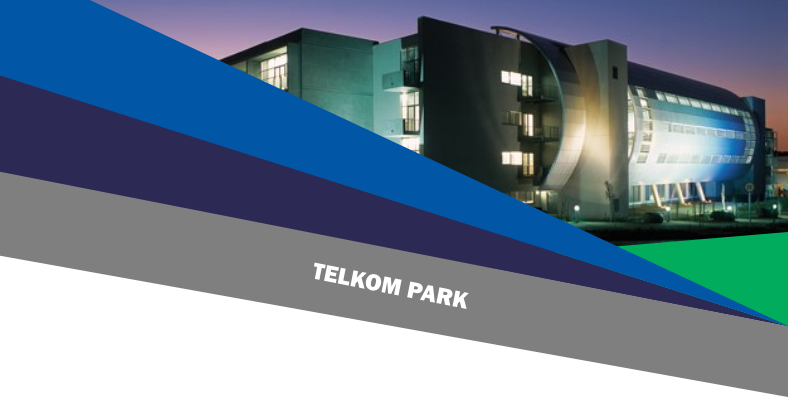 Telkom Park, situated in Centurion is the Telkom Group’s Head Office Campus, and covers 239,280 m² of land. This campus has three entrances and is home to approximately 4,908 staff members, who work in several facilities across the campus. This includes the Core building, which houses the combined National Network Operations Centre (23,520 m². ); the Apex building which is the general office building for administration (4,494m²); the Nexus building for general combined administration and a Data Centre (14,901m²); and the Hub, which combines building administration, a Data Centre, Call Centre, as well as the Telkom head office, where the CEO and EXCO reside (29,100m²). The complex has eleven 1000 – 1200kVA generators and over sixteen 10 – 400 kVA UPS units. The HVAC plant comprises 18 screw type water and air-cooled chiller plants with a total refrigeration capacity of 10 MW. All buildings have sophisticated fire detection and protection systems; fire, water and gas suppression; as well as access and security systems. Telkom Park hosts three large Data Centres, which deliver Data Centre hosting and support to a large number of Telkom customers. The Tier 2 Hub’s Data Centre is 3,220 m²; the Tier 2 Nexus Data Centre is 2,500 m² (Up Time Institute Accredited) and the Tier 1 Core Data Centre is 1,200 m.
Bidvest Facilities Management is also responsible for Telkom Park’s solar photovoltaic (PV) 3 MW plant, which has 1,118 solar panels and 3 x MW inverters that are linked into the municipal supply. The average harvesting of solar energy is 15,000 kWh per day (depending on cloud cover), which equates to a monetary savings of R15 000-00 per day.